The Cargo Net is custom-contoured to fit the cargo area with the existing tie downs. 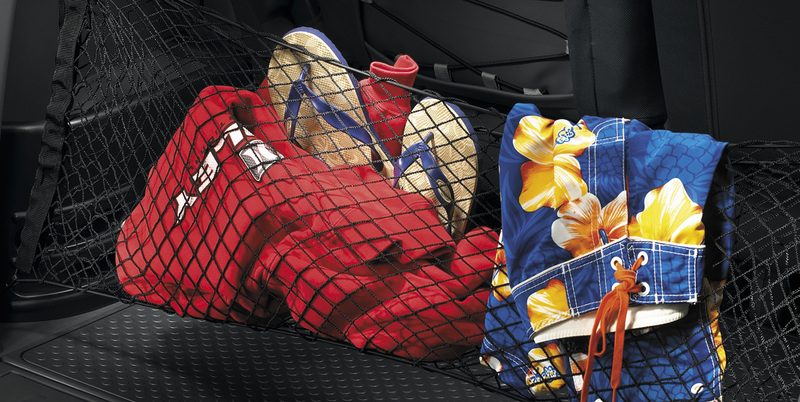 The net works in flat net style as well as hammock style to keep your belongings secure. The tight fitting elastic cord construction stretches to help hold oddly shaped items securely.